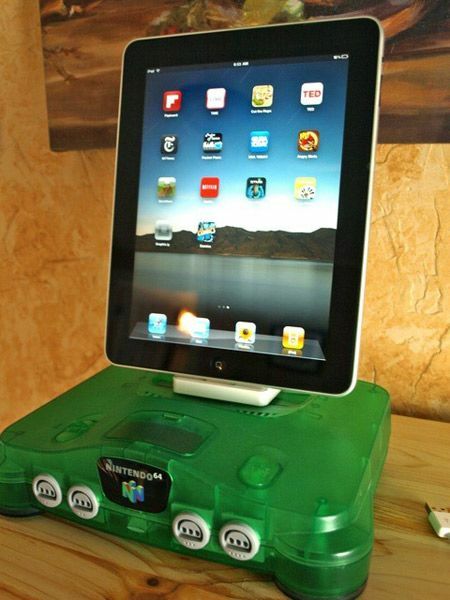 If ever there were an iPad dock fit for royalty, this would be it.This man has created something akin to a shrine to his iPad. Bavarian-based photographer, Georg Dinkel, has created an iPad speaker dock he calls TonSchrein, which is German for Sound Shrine- appropriately enough. 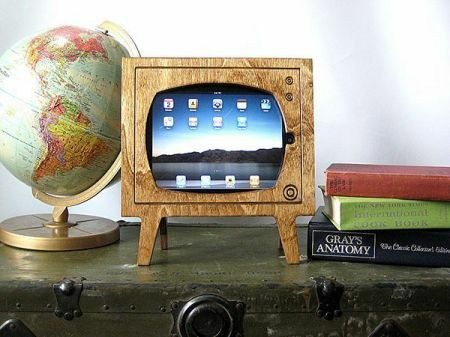 Meet the retro wooden TV iPad dock which has been designed to look like a television did in the good old days of black and white. 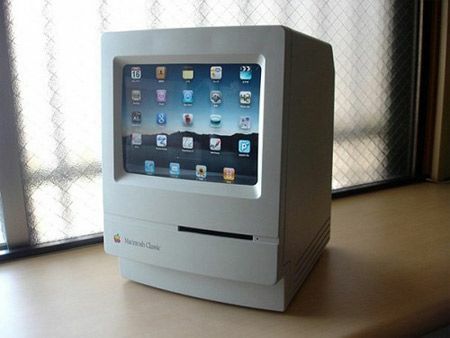 Perhaps you may not have been born in that glorious era, but you just happen to love collecting vintage looking items. 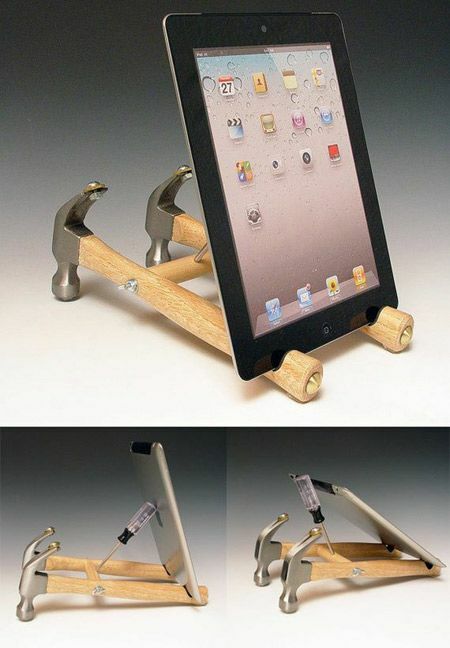 Either way, this wooden iPad dock is a pretty unique one as far as iPads are concerned. 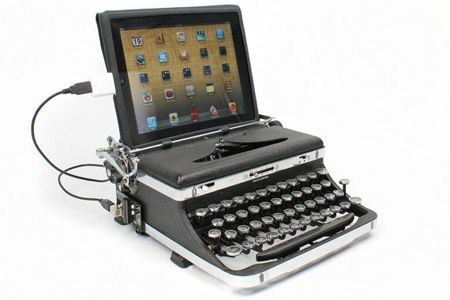 This vintage typewriter is a beautiful, functional, and unique accessory for your home office. 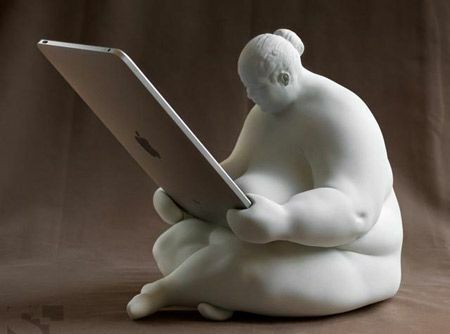 If you wanted something artsy that somehow manages to merge with technology, then this Venus Of Cupertino iPad dock might be just what you’re looking for. 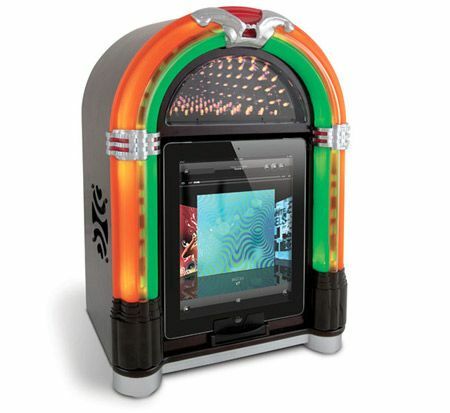 Listen to all your music in style with the Jukebox Dock from ION Audio. 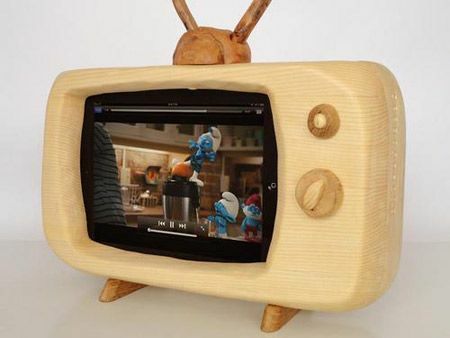 This is a tabletop speaker dock for iPad with vintage looks, modern capability and has an eye-catching, real wooden cabinet with lighted neon-style trim. It’s a great addition to any decor and will get everyone talking. 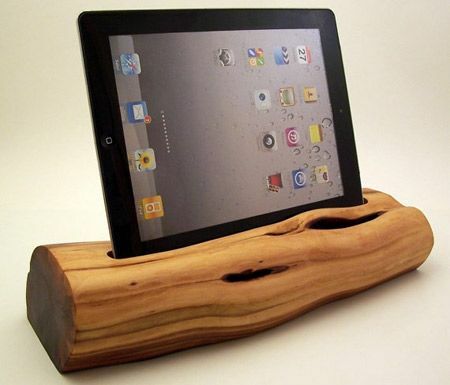 RockAppleWood specializes in making all types of docking stations for Apple products from salvaged wood recovered from the foothills of California. 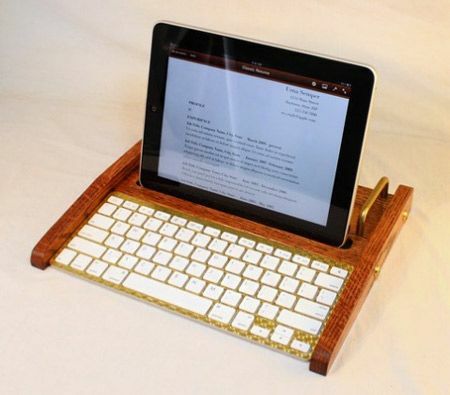 This iPad dock is made of Manzanita wood  salvaged from a tree lost due to the expansion of a local community college. 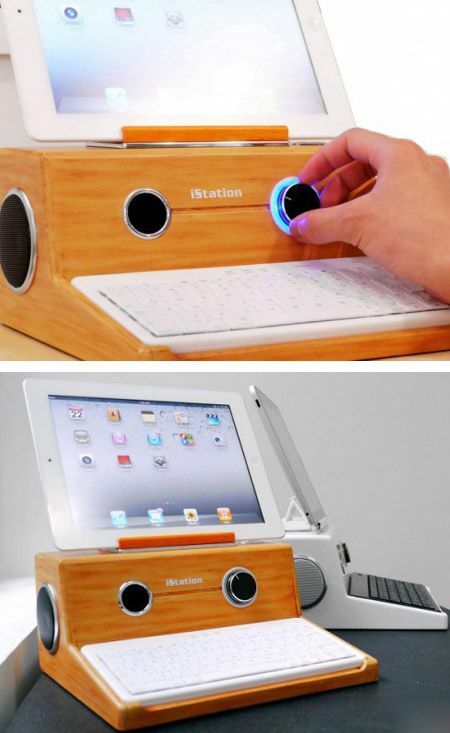 This iPhone/iPad stand or docking station appears to be a running faucet. It’s made of polycarbonate plastic with ABS faucet parts and at first glance, looks like an old-fashioned faucet stand with streaming water. 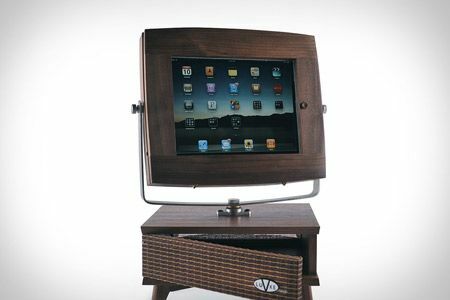 Taking the iPad-as-TV-replacement concept to its literal conclusion, the V-Luxe iPad Stand ($TBA) turns your iPad into a ’50s style TV set. 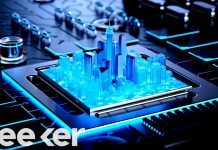 Are you an Arcade Game junkie? 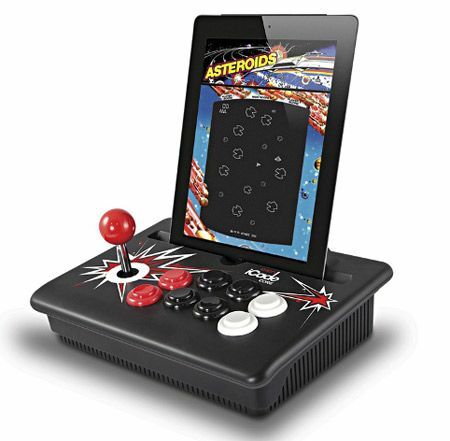 If you own the New iPad you can use your portable Arcade with it.